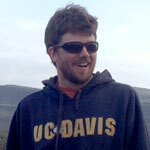 Adie Whitaker is a Principal Investigator, Project Manager, and Faunal Analyst. He has worked at Far Western since 2008 and has over 15 years archaeological experience throughout California in both academic and CRM contexts. At Far Western he has worked extensively on transportation-related projects that fall under the Caltrans Local Assistance program for Section 106 review or are being implemented directly by Caltrans. He is an expert on the 2014 First Amended Caltrans Section 106 Programmatic Agreement as it relates to Local Assistance, with experience in the Sierra Nevada foothills, Central Valley, and San Francisco Bay Area. Along with Dr. Brian Byrd, he leads our team on the San Francisco Planning Department Cultural Resources Approved Consultants list, aiding private developers in meeting their Cultural Resources mitigation obligations with minimal impact on construction schedules. Dr. Whitaker also serves as Far Western’s Principal Investigator on the Santa Barbara Channel Islands and adjacent areas of the coast for the US Department of Defense. 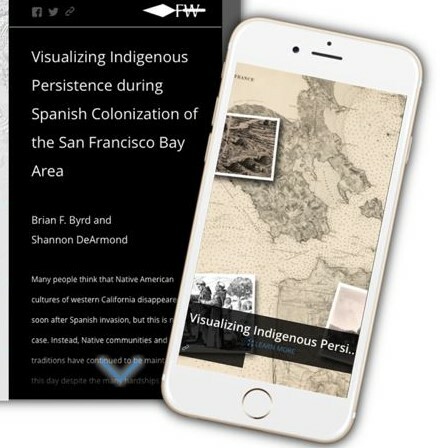 Dr. Whitaker has authored numerous excavation reports on the archaeology of the central Sierra Nevada, Central Valley, and San Francisco Bay Area in northern California and on the Santa Barbara Channel Islands and coast of southern California. Data from these reports have led to the publication of numerous scholarly articles in regional, national, and international journals, including American Antiquity, the Journal of Anthropological Archaeology, the Journal of Archaeological Science, the Journal of Coastal and Island Archaeology, California Archaeology, and the Journal of California and Great Basin Anthropology. Dr. Whitaker is currently the Editor-in-Chief of the Journal of California and Great Basin Anthropology and sits on the Editorial Board of the Malki Museum Press. He previously served as the Book Review Editor for the Journal and Editor-in-Chief of the Center for Archaeological Research at Davis. He has served on the Executive Board of the Society for California Archaeology as Northern Vice President (2010-2012) and Secretary (2009-2010). Social Circumscription, Territoriality, and the Late Holocene Intensification of Small-Bodied Shellfish along the California Coast. Journal of Island and Coastal Archaeology 9(2):150-168. Hunter-Gatherer Storage, Settlement, and the Opportunity Costs of Women’s Foraging. American Antiquity 78(4):662-678. Boat-Based Foraging and Discontinuous Prehistoric Red Abalone Exploitation along the California Coast. Journal of Anthropological Archaeology 31(2): 196-214.